I hope you all had the happiest Christmas celebrating with your loved ones! Chances are you are taking it slow today [if not back at work!] and washing your hair is the LAST thing on your mind. I’ve got you covered if you want to extend that Christmas blowout! First off, let me just apologize that in these photos I’m shedding like a golden retriever. I know that’s ultimately distracting in a tutorial, but it’s also real life! I could have reshot these photos. I easily could have edited out the hair. But I also want to be an accurate depiction of what it’s like to be a mom, and postpartum hair loss/shedding is the norm! ha! So excuse and let’s chat unwashed hair. 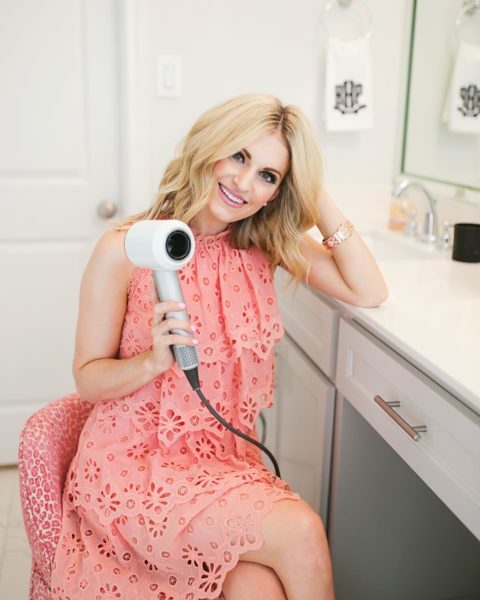 Unless you were blessed with an extremely easy hair texture that air dries within 10 minutes in a style close to a Disney Princess, we’ve all dreaded washing our hair. Maybe we have too much work to do or the kids need us, and we’ve got to figure out a look quickly. I mean sometimes can’t a girl just be lazy?! 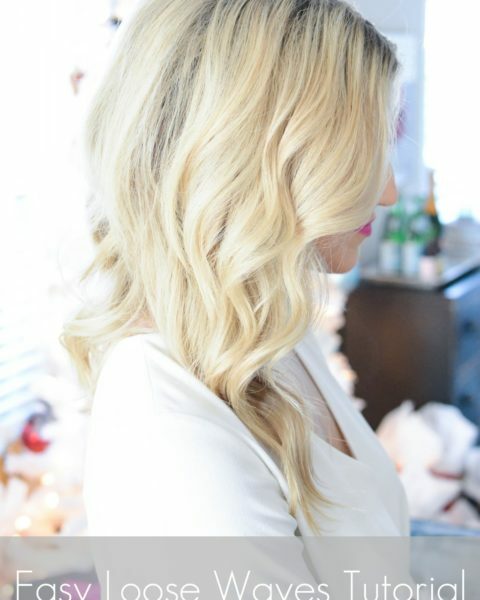 Today I’m sharing 4 easy styles for unwashed hair! These are also great if you’re trying to not use heat on your hair. I only style my hair two days out of the week, do one of these styles another three days and then do a messy top knot the other two days. 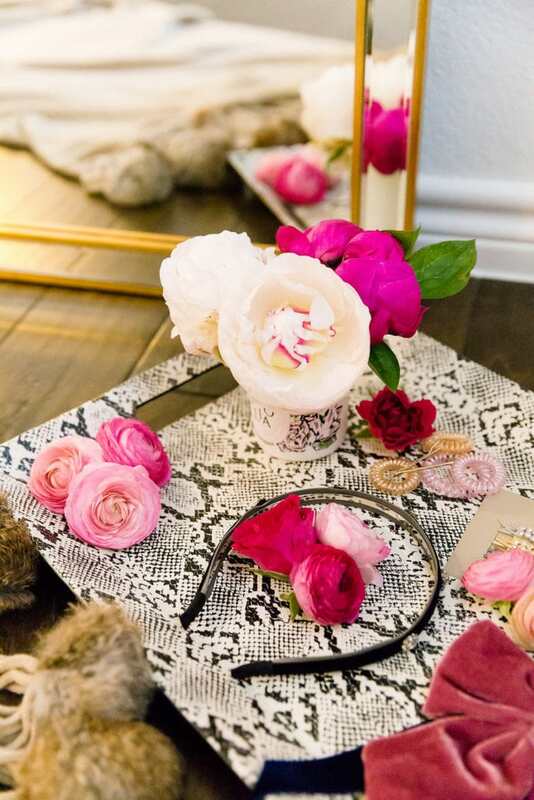 One of the keys I have found to styling your hair is to get the right accessories. From the proper ponytail holder to a chic hat, I have about three to four accessories I keep on rotate that dress up a hairstyle. I love a fun top knot, but sometimes I feel it fits more with my workout clothes than it does a dress. By adding one of these accessories in, you can easily wear one of these styles with a more fashion forward look. We can thank Blake Lively for making these ponytails so chic. Honestly, the more bed head you have with this style, the better! Have you seen these little velvet bows everywhere?! I love them, but honestly I wanted to feature this trend just to say how ponytail holders have really elevated this year. 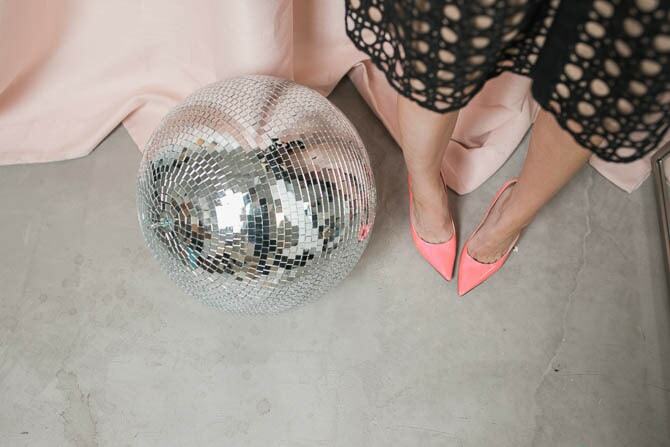 From cuffs to bows to pearls, it’s easy to make a statement with this quick style. These bows from Nordstrom sell out SO quickly, so if you are tempted I do encourage you to act fast. I’ve bought two from Nordstrom for holiday parties and each has sold out within a week. Just gather your hair into a ponytail holder as you normally would. I always recommend leaving a few pieces of hair out to frame your face. Top with your bow ponytail holder or other kind and then take the Living Proof Dry Volume Blast and spray it onto your hair. This is going to give the illusion of a fuller ponytail [which I’ll take!] and make your messier hair seem like beach waves. This is the style I get asked about most frequently and it’s so easy, I promise! I love this style because you can make it work appropriate or black tie. I wore my hair like this on our wedding day because the more your curls fall, the more romantic this style looks. I knew I could dance the night away and not worry about my hair at our reception. Start by teasing your hair. 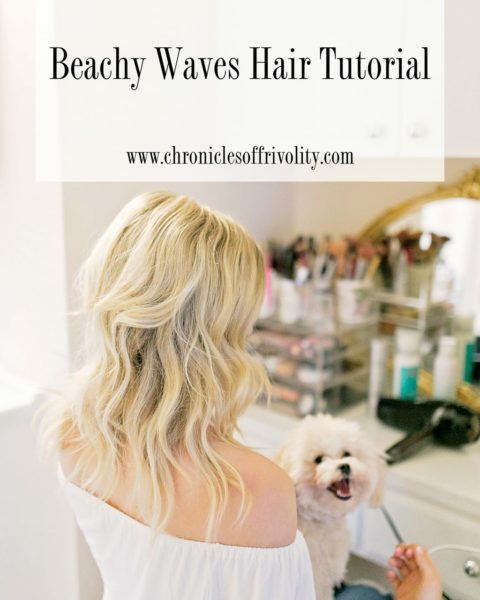 If you struggle with teasing, I have a hair tutorial here. Take two pieces forward to frame your face. If your hair is messier from sleeping on it, you can easily curl these pieces and you aren’t applying heat to your entire style. Take 1-inch sections of hair next to the hair framing your face, and pull back. Because your hair is fully teased, this makes the style work! A lot of times girls try to take the entire top half portion of their hair and pull back, but that’s too much for a hair clip to hold. Have those two pieces of hair “kiss” and meet in the back. If you need something dressier, I recommend getting some embellished pins. Just take 2 normal hair pins the same color of your hair, and insert one on the left side of the hair and one on the right. Then insert the two embellished pins on top of those normal pins. If need be, you can touch up a few pieces of curls but I truly like this hair when it’s kind of messy and fallen. I love a good hat in the fall! My trick for a regular ponytail is Invisibobble hair ties. These have just sold out but are typically easy to find in store and are always restocked. Normal ponytail holders can crease your hair, break your hair [think about how tight they are getting around your locks] or sometimes make your top knots uncomfortable. These do not damage your hair, crease your hair, your cause headaches. I seriously have 30 of these because I need to have them everywhere from my car to my diaper bag. Put your hair in a ponytail, then take one section of the pony on the right side and wrap it around the ponytail holder. Then you just pin it through the ponytail holder. Top with a hat! This Halogen hat is great but I also love this $30 one or this Ted Baker option if you’re more of a glam girl! We all do our messy buns in different ways [let me know if you want to see how I do mine] but this is my number one trick for making it look full! Once you do the bun, you want to pull on small pieces of hair in the bun to make them looser. Don’t pull them out completely, but just gently pull on a few pieces like loosening a braid. This is going to give your bun the messy look you’re wanting. Next, grab Living Proof Dry Blast and spray it around the bun. This product takes my high bun from too perfect, to perfectly undone. Next, pull a Blair Waldorf and throw in a headband. Now I know what you’re thinking, a headband? Can I pull this off. Yes! Velvet is SUCH a huge trend this fall and a thin velvet headband is an incredibly chic way to pull it off. Pull some hair forward around your ears and you’re finished! 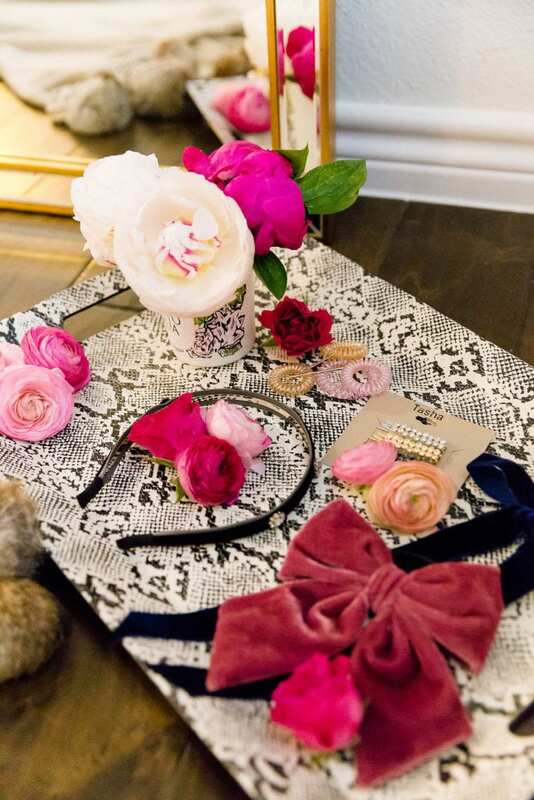 I’m using this headband but this thing velvet bow option allows you to do two trends in one! If any of these accessories are new to you, I hope they help extend your styles and allow you to put less heat on your hair! Do you have any “go-to” looks when you can’t wash your hair just yet?! 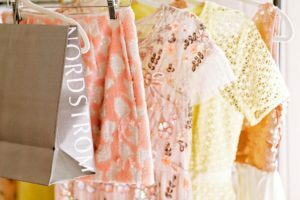 In collaboration with Nordstrom. All opinions and purchases are my own. Katey just wanted to wish you and your family a Merry Christmas!! Thanks for sharing your hair tips, your hair always looks fabulous!! I’d love to see how you do your bun! This is awesome! I always dread washing my hair but struggle to still make it look cute. Will definitely be trying some of these! This is so perfect for today! Luckily I’m not leaving the house ;-). But my hair does the same thing when I don’t wash it for a few days. It comes out in droves! It takes extra time to wash, but feels so good! I would love to see how you do your full bun! Where is the large gold stand up mirror from? All of these are beautiful! Perfect for this time of year when things are so busy. Thanks for sharing and Merry Christmas! Please do a tutorial for your bun. I seriously struggle every time I try to do this. You have amazing accessories for hair.I am in love with it. And the hairstyle is so easy and quick to do on our daily busy schedule. Thank you!